Alena and Ivan Leonchyk flew from Seattle, Washington, to Charlotte, North Carolina, to honor the evangelist. Alena and Ivan Leonchyk traveled more than 2,500 miles from Seattle, Washington, to say goodbye to a man they never met. The couple, who’ve been married for two years, wanted to pay their respects to someone who had given them hope. 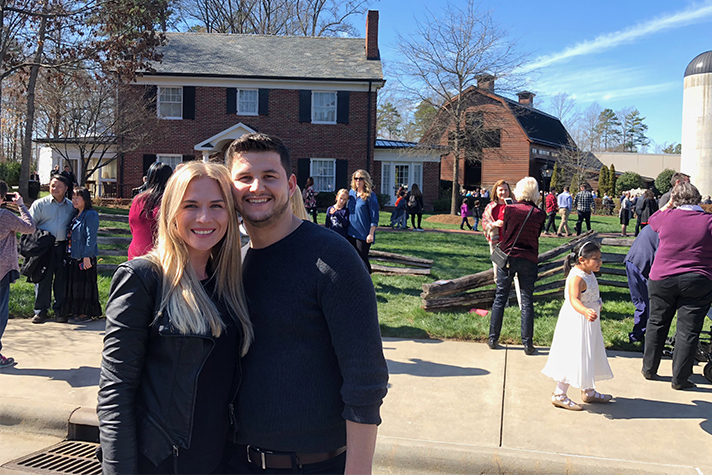 “It just felt right to come here,” Alena said as she stood in front of the Graham Family Homeplace, where Billy Graham is lying in repose on the Billy Graham Library grounds in Charlotte, North Carolina. Although Alena grew up in a Christian home in the Ukraine, where Billy Graham helped open the doors of evangelism in the 1980s, she first heard of the famous evangelist when she was driving to work one day and came across one of his Crusades on the radio. She hasn’t stopped listening to his Crusades on her hour-and-a-half commute since. “I feel like I’m close to home when I listen to him,” she said, describing her love for how he expressed the Gospel and didn’t judge anyone for their religion or background. 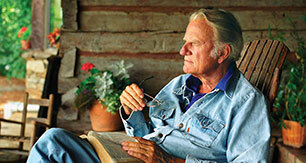 Knowing it was her dream to meet Billy Graham, Ivan had been trying to plan a way for her to meet him in March for her 28th birthday, not realizing the state of Mr. Graham’s health over the past few years. “I really wanted him to pray with me,” Alena said. When Ivan got word of Mr. Graham’s passing on Wednesday, he knew his wife would be devastated. “I felt like I was in mourning even though I never met him,” she said. The couple plans to attend a stop on Franklin Graham’s Decision America Pacific Northwest Tour, a series of one-day prayer and evangelism events this August in Oregon and Washington. His legacy continues to live on. Find the hope of Jesus today.